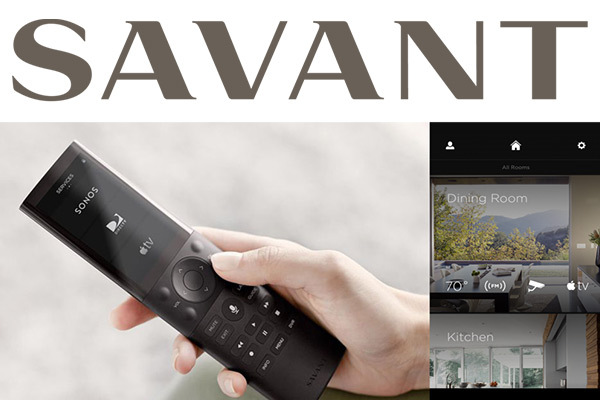 As the leader in home automation, Savant provides the ultimate control experience. If you want to start building your Savant system, start with a remote and host and then upgrade as your system grows. Lutron brings a completely new level of convenience to your home. 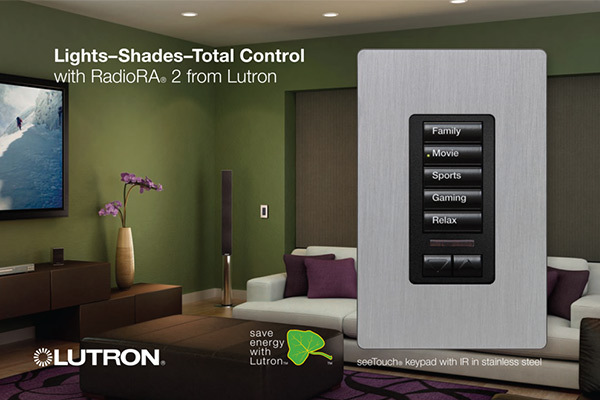 Control interior and exterior lighting, beautiful shades and drapes, music, and much more, with an easy to use Lutron system. Activate the perfect scene with the touch of a button. 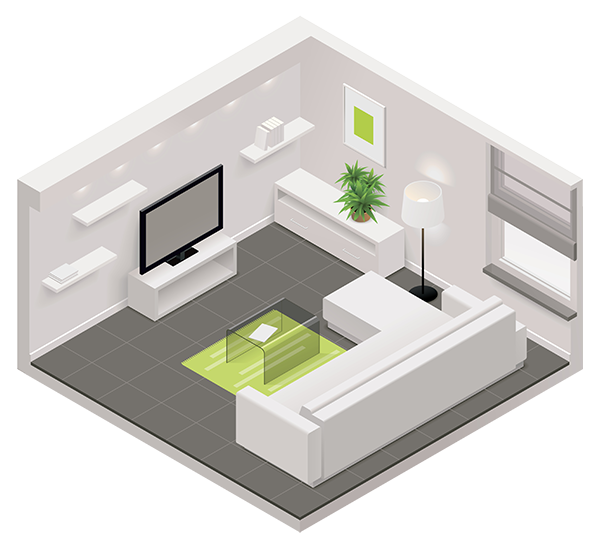 With Lutron, your home technology truly works for you. 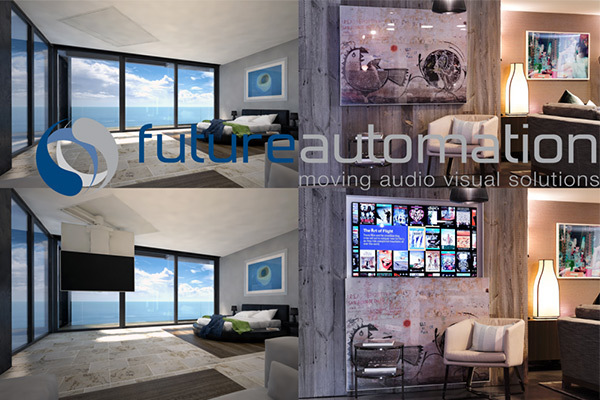 Future Automation provides the absolute best manual and automated mounting systems for audio and video solutions. Future Automation don’t stop there — in addition to their A/V systems, they also offer sliding panels, automated doors, beautiful automated shades, and much more. No matter what objects need to be moved, and they will create a custom mechanism that smoothly and quietly moves. With Future Automation, the possibilities are endless, so ask us how we can work with your designer, architect, and builder to customize the perfect solution for your home or business. Nest provides one of the most convenient ways to monitor your home‘s climate, smoke and CO2 detectors, and security. 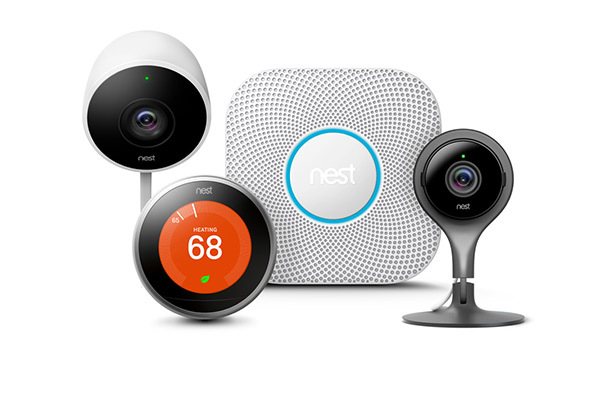 The Nest suite includes smart learning thermostats, smart smoke/CO2 detectors, and indoor and outdoor cameras. Everything connects to the cloud and communicates with your phone, tablet, and desktop in real-time. Nest also integrates with Simple Control and other smart products to offer a seamless experience. Ask us how you can get Nest in your home! The quality of the door and gate stations from Door Bird is unmatched, which is why they are part of our product family. 1080p HD-quality video and crisp audio enhance the convenience of easily monitoring your home and its entrances. Answer the door from anywhere in your home, or record when motion is sensed and check on it later. DoorBird also offers door and window sensors for your entire home, which allows you to bring all of your security together in one place. 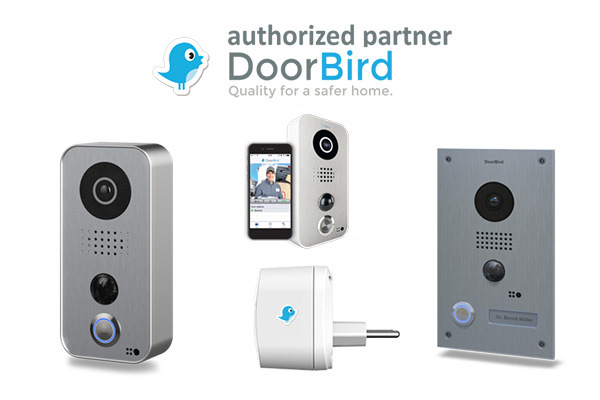 Ask us just how simple and safe DoorBird can be. 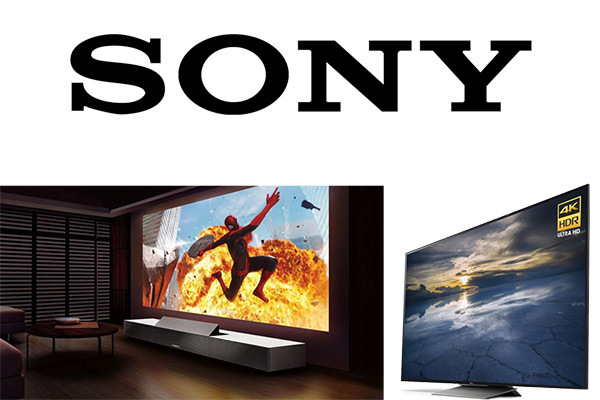 In the world of video, no one offers better options than Sony. Sony televisions and projectors lead the industry in HDR (High Dynamic Range), which means deeper blacks and richer, truer colors. Their backlit LED technology means that the edge lighting that washes out part of your screen is gone. When it comes to projectors, they are the only manufacturer to provide native 4K resolution for the consumer market. Everything is better with Sony. SÉURA brings the enjoyment and luxury of mirror televisions into your home. Any size, any shape. Explore the uses of mirrors etched with custom light designs, a 4K TV that pretends to be a beautiful mirror and art piece while not in use, and outdoor weatherproof TVs that perform even in sunlight. 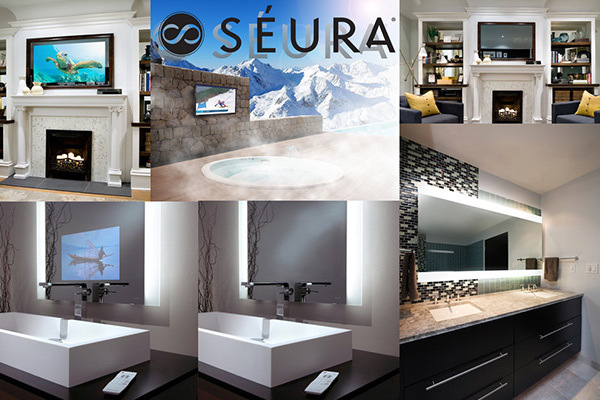 SÉURA provides exactly what your home needs. 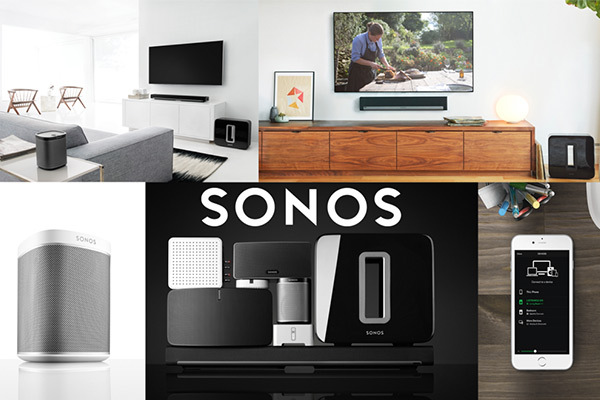 From single room to house-wide audio, Sonos has everything you need. Easily run Spotify, Pandora, TuneIn, and other music services at your home or business. Truplay from Sonos allows for wireless 5.1 surround sound. If you are looking for the best, Sonos is the only option. 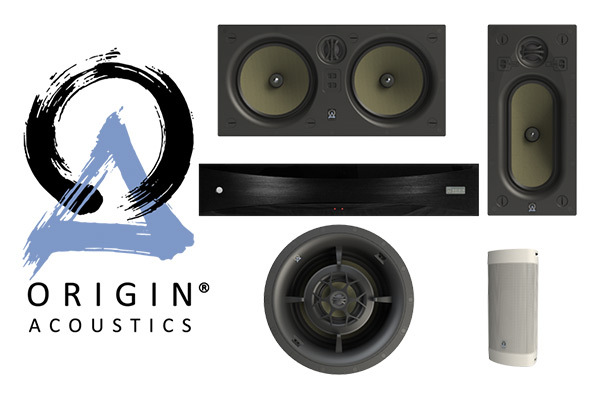 In only a few years, Origin Acoustics has become one of the most prominent and innovative speaker companies on the planet. With more than 20 patents and a dedication to innovation, Origin makes everyone’s lives sound a whole lot better. We trust Origin Acoustics to provide consistently incredible audio for both interior and exterior spaces. For a demo or to get started on your next high-end audio-visual project, give us a call at Harmonic Series in Fort Collins. We have designed and installed systems in homes and businesses across Northern Colorado and we would love to help make your space look and sound as good as possible. Contact Us About Your Home! ©2018 Harmonic Series Inc - Do not copy. All rights reserved.